Dave and Jo live in Walthamstow, East London and were married in 2002. Not wanting to hang around they produced four beautiful boys before 2008 was out – pretty good going! Dave is a Software Developer and works full time and Jo is at home with the children – working full time and a half! Family life is fairly busy (British understatement) but on top of that, they enjoy being part of their local church and building relationships with people in their community. Dave enjoys playing guitar, football and fiddling with his computer. Jo is a keen gardener, producing lots of veg on the allotment. She also enjoys cooking and reading. Daniel, Ben, Tom and Reuben mostly enjoy a good rough and tumble! Andy & Tiff live in Cambridge. They met in a muddy field at a music festival back in 1986. They got married four years later and have since produced a large selection of now grown-up children; one of whom has also produced two grandchildren for them. They have spent most of their married life working with Agapé in the UK and also in Russia. 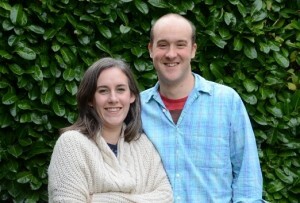 Andy recently became a curate in the Church of England and Tiffany works full-time with FamilyLife. Andy loves adventure and spontaneitym, he likes trying new things which is currently table tennis. Tiffany loves quiet and predictability, if she had any talent she’d like to have been an artist. They enjoy an unchallenging cycle ride in the flat fens, exploring new places together and spending time with their family. Muchada and Rumbi met at the University of Zimbabwe in 1993. They are both from Zimbabwe but currently live in Warwickshire . 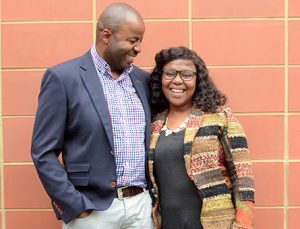 They got married in 1998 in Mount Pleasant Harare and soon after migrated to the UK. They have three children. They work together running two businesses which are a niche Solicitor’s practise and they operate supported living accommodation for care leavers. They also run a non profit organisation called Migrant Family Support . Rumbi is the more outgoing and bubbly one of the two with Muchada complimenting her personality with his calm and stable influence. He reigns her in and reminds her that she cannot save the whole world. 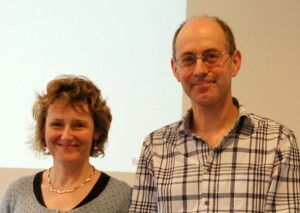 Alasdair and Olivia Coles have been married for 25 years. Having moved twelve times over the years they are now settled back in Cambridge learning to become city folk after many years living in the Fens. They have two teenagers Alex (17) and Kana (15) who seem to need endless taxiing around for their sport and social lives. Olivia who began her working life as a drama and English teacher has had a very mixed bag of mostly non paid jobs. In this second half of life she has ended up working as a full time curate in the Church of England which she loves. Her main hobby is drinking cappuccinos in nice cafes while catching up with friends. Alasdair, a doctor mainly researches multiple sclerosis but is also the chaplain to the hospital staff. At home he loves nothing more than baking bread, building bikes and making a mess according to Olivia! They occasionally manage to get out for a long walk together – which is their new favourite thing after watching a good film with a nice glass of wine & cheese! Sean and Miriam Conrad live in Tottenham, North London and have been married since 2012. They grew up together as neighbours who attended the same church, but weren’t exactly childhood sweethearts all along (long story…)! Sean is a Building Surveyor and Project Manager who loves fast cars and KFC. Miriam is a secondary music teacher who loves playing the piano and eating out at Italian restaurants (so much classier than Sean’s fast food addiction…). They both share a love of the sea and snorkelling, particularly during their caravanning holidays at Durdle Door in Dorset, their favourite beach. 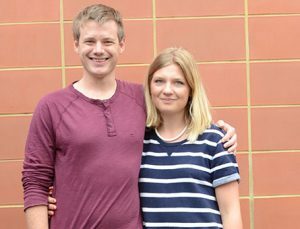 They enjoy their role as youth leaders at their local church and are both excited and nervous about their new role as parents. 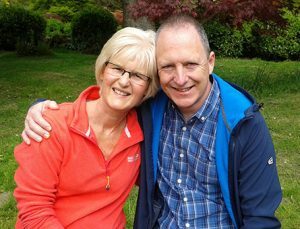 Mark and Christine Daniel live in South Bucks, they have been married for nearly 30 years. They have two grown up daughters. Mark is the extrovert and loves the outdoors (especially offshore sailing), action and being with people. Christine keeps Mark under control and is the completer/finisher of the family; she enjoys drama and creative projects, the outdoors and solitude. 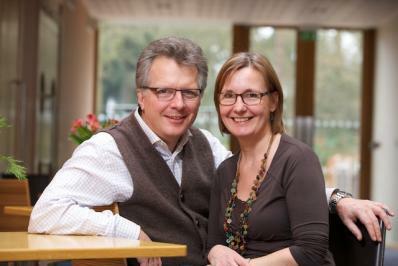 Mark and Christine joined Agapé in 2003 to lead the FamilyLife Ministry in the UK. Prior to this Mark was a Sales Director in a number of IT and high tech companies, after having served as an Army Officer at various locations around the world (he used to do bomb disposal!) Christine used to be a Bank Manager, choosing to stay at home after the birth of their first child. 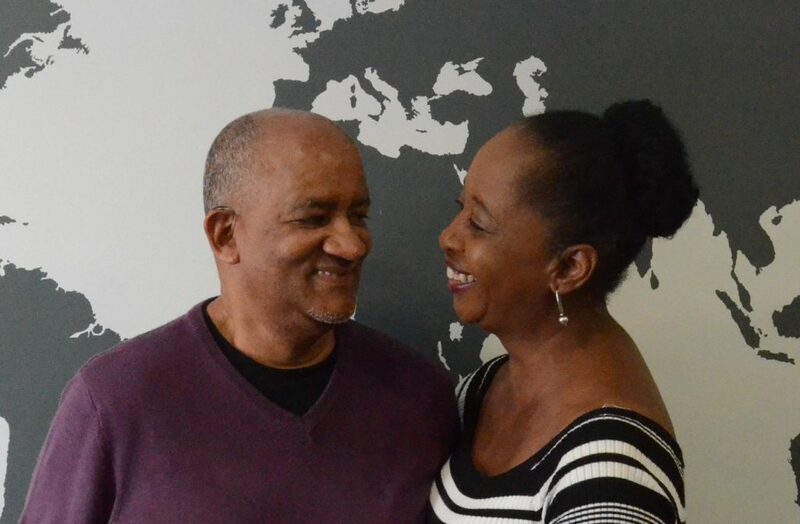 Bob and Seringa have been married for over 25 years and have so far survived each other and two grown up children. Seringa, a trained nurse now teaches first-aid part time and Bob is happily early-retired from a busy corporate life and delighted to be a full time volunteer and currently working through the challenge of learning how to work in Seringa’s house. They live in the Midlands where they speak and teach on various subjects including marriage, spirituality (together) and men’s issues (Bob). They enjoy walking their dogs, travel and really good coffee. Bill and Lynda have been married for over 30 years. They live in Cambridge and have two children Alex and Niamh, and have recently increased their family by introducing two rather large rescue dogs, which have made life very interesting. Lynda has an accounting back ground, and is also a qualified counsellor and family consultant spending her time juggling family, work and church. Bill works in the very busy world of procurement, spending time on the allotment and has a new project for 2013, which is to complete the renovation of a 1971 yellow Volkswagen Beetle, he started 10 years ago in time for their daughter to start learning to drive in July. Trace and Deb live in Brussels, Belgium, and were married in North Dakota, US, in 1989. They have three adult children who live in the US and Belgium. Trace has been a network engineer for 30 years and enjoys his downtime by playing squash and raquetball, doing puzzles, or playing board games. Deb is an educator who has taught students of all ages in many areas but mostly music. She is usually most happy when she’s playing piano for a muscial theatre or finding the next travel deal for the two of them to explore another back area of Europe. 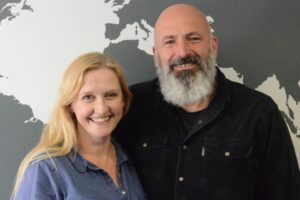 Deb and Trace have supported FamilyLife in the US and Europe in many ways for over 20 years and joined the speaking team in 2018 when the last of the children left for university. Kia got married in 2010 and since then have served the Farsi speaking community in the UK. They have one son called Ryan. 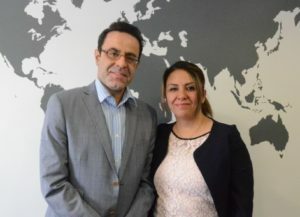 They want to bring transformation into marriages, lives and relationships of couples in the Farsi community and beyond. Ashley and La’Neshia are a dynamic duo. 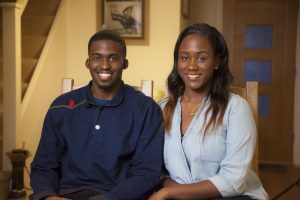 Ashley grew up in Birmingham and La’Neshia is originally from East London, but came to study Psychology at university, in Birmingham. The pair met at a church event in 2012. No flames were sparked and they went their separate ways. They were reunited in 2013, where they ended up working in the same school. Ashley and La’Neshia are newlyweds and are excited to be celebrating their one year anniversary. Ashley is a qualified P.E. teacher currently working in a Pupil Referral Unit for young people who have been excluded from school. Ashley enjoys reading books on the beach on holiday, watching movies, spending time with La’Neshia and working on his business. He is in the process of publishing a children’s book. La’Neshia is a Psychology graduate who has worked with children and young people in the Education sector within schools and community projects. She enjoys writing and reciting poetry, singing, travelling and being adventurous. As a couple, they enjoy spending time with friends and family and date nights. Ashley and La’Neshia have a heart to help families and marriages, which is why they have recently been trained by FamilyLife, to become Couple Facilitators. Gill is mother of two twenty-somethings, divorced and learning that, even when the children are grown-up, you never stop being a parent! Gill has spent her working life managing people, mainly in the hospitality industry and has put those skills to use in her church and community. She loves being busy and also manages to spend plenty of time visiting friends and taking trips with them, in the UK and further afield. She loves walking, cooking and gardening. Nathan and Daisy live in Stoke Poges, Buckinghamshire. They met when they were 12; married by the time they were 18 and now have three beautiful children! Nathan works full time as a manager at Heathrow Airport and is a keen cyclist and Daisy is a full time mum. Now Daisy is looking for something to do with all the time she is going to have as her youngest is starting school! She is interested in fitness, nutrition and cooking. Nathan, Daisy and the children, are all keen to follow the plan God has for their life and working in their community to see God’s light shine through them! 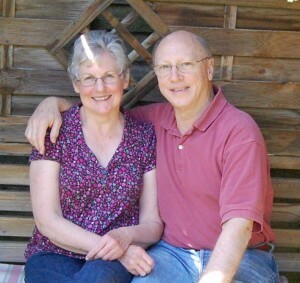 Jane has been married to Martin for over 30 years and they have 2 adult children and 2 grandchildren. 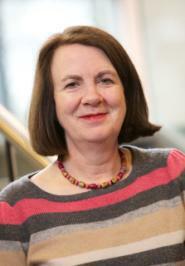 Jane has had a varied life, beginning as a Physiotherapist specialising in treating brain damaged adults. They lived in Norway when the children were very young which gave them a taste for seeing the world. Back in the UK she worked with the Citizens Advice Bureau and then joined FamilyLife as Events Co-ordinator. Jane says she seems to like helping people! Martin should have been an explorer so they have travelled extensively around the world. She loves all things crafty, cooking, gardening and reading. Phil and Ceri live in Newcastle. They met during their student days at Birmingham University in 1999; at first a long distance relationship while Ceri was on her year abroad in Germany and Phil was writing his PHd in Nuclear Physics. It is very much a story of opposites attract, which remains true today! They were married in 2002. Ceri’s first job was as an events co-ordinatorm which is what she finds herself doing for FamilyLife! 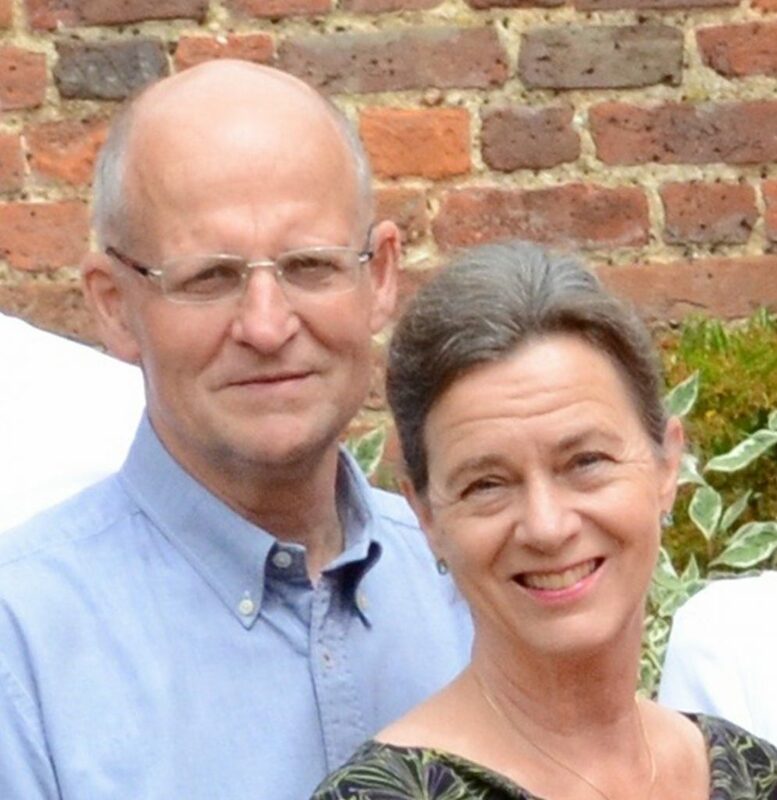 They joined Agapé in 2004 to work with the student ministry and have enjoyed many years connecting with students from across the world in their home over food and long chats about faith, God and the meaning of life! Those conversations are often interrupted by their lovely children Joshua, Micah and Jessica, who keep them busy! Phil is a keen cyclist, being active/outdoors, enjoys playing games and has recently taught himself how to play the ukele. 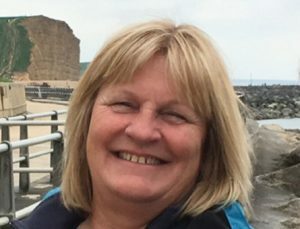 Ceri enjoys getting out into the beautiful Northumberland countryside with her camera and loves having a coffee on her own or with a friend. Leonie and Mark Lane live on the sunny south coast, in Bournemouth. Mark has lived there all his life whilst Leonie is originally from further along the coast in Weymouth. They married in 1993 and have two daughters; Steph who is a primary school teacher and Jo who is away at uni studying International Development with French. Mark works for the Police as a schools education officer and also teaches children cycling skills as a Bikeabity instructor. Leonie is a Learning Support Assistant at Bournemouth and Poole College.They both enjoy walking, baking and camping. Mark is also a keen runner but Leonie is definitely not! They enjoy hosting uni students for Sunday lunch in their home. Charli and Dave live in Newcastle and were married in summer of 2015. 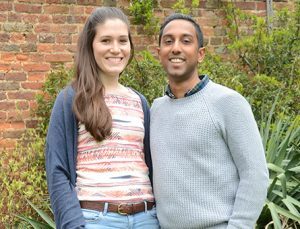 They met over coffee at the back of Jesmond Parish Church and were friends for years whilst studying Medicine at Newcastle University, before romance blossomed in Uganda – the rest is history! They now work as Doctors in local hospitals and live with their 2 rabbits, Wallace and Gromit. In their (small amount of) spare time they love being outside more than anything, swimming in the North Sea, hiking in the Cheviots and whizzing round Northumberland on their bikes. Don’t worry though, they’re not always on the go, they both love sharing life with friends over tea and cake or a pint, and enjoy discovering new places to eat together in Newcastle. Chris and Lisa live in South Bucks with their teenage son Ethan. Chris was born and grew up in the UK; Lisa, grew up in the Midwest United States. 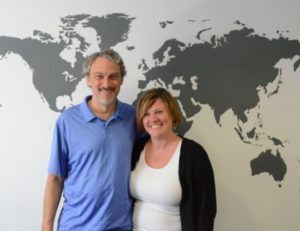 Chris emigrated to Germany in 1991, but met Lisa in Brussels, Belgium four years later while working on a business project – they married in the US the following year. 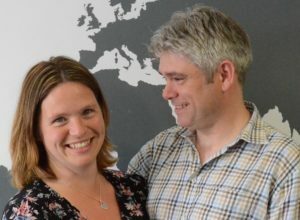 After many years working in the financial sector, Chris and Lisa joined Campus Crusade for Christ in 2007 and served for several years at the FamilyLife Ministries headquarters in Little Rock, Arkansas until 2012, when they relocated back to England to serve with FamilyLife UK for a period. Both Chris and Lisa speak fluent German (which is useful when the two flavours of English aren’t working). Chris enjoys technology, flying, photography and cooking. Lisa is a hobby nutritionist, loves to speak German, is passionate about helping people know God in truth. A fan of X Factor, she can be caught singing at the top of her lungs if she thinks nobody is listening. Vanessa and Haggai live in Hull, the City of Culture 2017! They were married in August 2014. They have been friends for over 14 years. Vanessa is a Drug and Alcohol Recovery Worker and Haggai is a self-employed entrepreneur. Together they run their family business called ‘Habby Business’. Vanessa enjoys going to the gym and photography but most importantly shopping for clothes and snazzy shoes. Haggai enjoys dancing, music, whiskey & wine tasting but most importantly collecting walking canes & pocket watches. In their spare time they like to go to the cinema, holidays and socialising with friends. 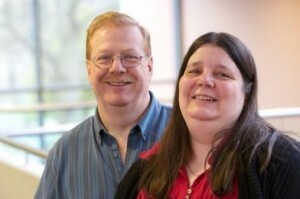 Tim and Jacqui live in Manchester and have been married for 32 years. They have three adult sons, a wonderful daughter in law and a beautiful grandson. They also have a cat and share their home with young adults who have been in the care system; helping them towards independently living. Tim has a bubbly talkative personality and is generally the life of the party; he is semi retired and occassionally works for the Probation Service, whilst Jacqui has a more calm, organised personality working part time as a Civil Servant. Tim loves gardening, enjoys watching football and is a steward for Manchester United Football Club; Jaqcui loves to shop, have coffee with her girlfriends and sings on the church worship team. They often go for walks and enjoy spending time with family and friends and taking holidays. Together they serve on their church’s homeless projects and support couples in their marriages. Gary and Jan have been married for over 27 years after getting to know each other in one of those ‘next desks at work’ romances. They live in Buckinghamshire and have three children, Amy (now married), Josh and Meg, and two loveable black labs. Following a long career in the mobile telecoms industry, Gary now works as an interim IT Manager with a current focus on the charity sector. Jan was a Computer Consultant until the challenge of juggling 3 children, a job and church responsibilities required something to give – it was the job that went. After a 19 year career break she has returned to the IT contract world! In the gap, she qualified as a life coach and spiritual director, work which she continues to carry out today, alongside everything else. 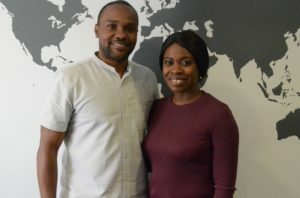 They’ve been involved in running youth groups, parenting courses, marriage preparation and marriage enrichment through conferences, seminars and small groups. Gary keeps his rugby boots clean in the hope that one day he will have the opportunity to play again! Jan dabbles in singing, art and all things creative. Nick and Judy have almost stopped counting, but have been married for over 40 years. They live in Cambridge. They have a son and daughter, who between them, have produced four wonderful grandsons. Judy was an infant teacher before retirement. She now does a little supply teaching, has taken up writing, and is happy to have more time to spend with family and friends. Nick trained as an accountant. He worked in the furniture trade before entering the rather more rarefied atmosphere of Magdalene College, Cambridge where he became Assistant Bursar, until his retirement. Judy and Nick enjoy walking, photography and classical music. Their holidays in Italy have yielded memorable experiences, although their recent Italian lessons were less fruitful! 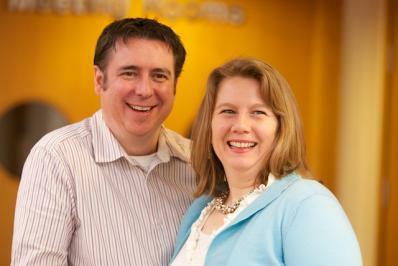 They are involved in a lively church in Cambridge that has a large student ministry. Etienne and Karen Van der Poll met at University in sunny South Africa where they both grew up. 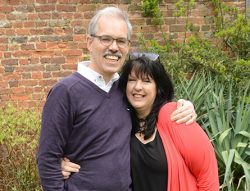 Married in 1987 they have so far survived life’s many challenges, some self-inflicted, which included moving to the UK in 2000 to settle for the country life in Warwickshire. Their family consist of two human children, Lise and Xander and two adopted non-humans, Kenco, the crazy flat-coated Retriever and Milo, the talkative Siamese, which keep them on their toes. Karen, a Personal and Professional Development Coach, sees herself as an encourager of people. Etienne, a Business and IT consultant, keeps her grounded and focused with his calm forward thinking “Big Picture” approach. Roger and Donna met in Reception class at the tender age of five and have been best friends ever since. 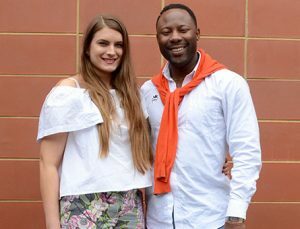 Originally from Texas, they now live in the West Midlands as British citizens. They have three married children, two living in the UK and one in the US, and three grandchildren. In spite of their close friendship Roger and Donna faced many struggles in their early years, partly down to being polar opposites in temperament. To put all that hard work to good use, they led marriage enrichment seminars for several years throughout Europe. Their book Secrets of a Growing Marriage is designed to help couples communicate on the issues of marriage. Currently Roger travels on the Continent as a strategy consultant for an international Christian charity, while Donna writes books for children. Recordo and Charmaine live in Manchester and have been married since 2013. They met at work (different departments) and fast forward to today, are parents to two active children. Recordo is of Jamaican origin and Charmaine is from South Africa. Recordo is a contractor, and entrepreneur. Charmaine is a Change Manager, who is currently completing her Masters in (MIS) Change Development at the University of Manchester. With a busy household, we make it a point to make the most of always being together. As a family, we enjoy being active, travelling, cooking and eating out together. Recordo is an introvert, who is logical in approach and enjoys reading personal development books. He has a passion for action, adventure and the outdoors. Charmaine, when she is not reading textbooks, is a bubbly extrovert who enjoys being mom, entertaining and hosting family and friends. They are both passionate about marriage, family and living a powerful impactful life. 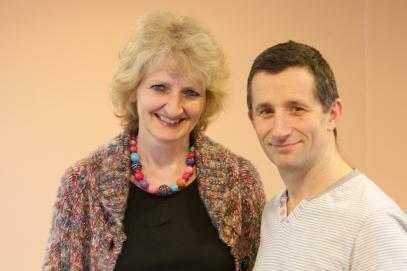 Mark and Jan met as students and it was love at first sight! After six weeks Mark plucked up courage and asked Jan to marry him. Jan said yes straight away, but wanted to know why he had waited so long! They have now been married for over 35 years and have four children two of whom are married themselves. 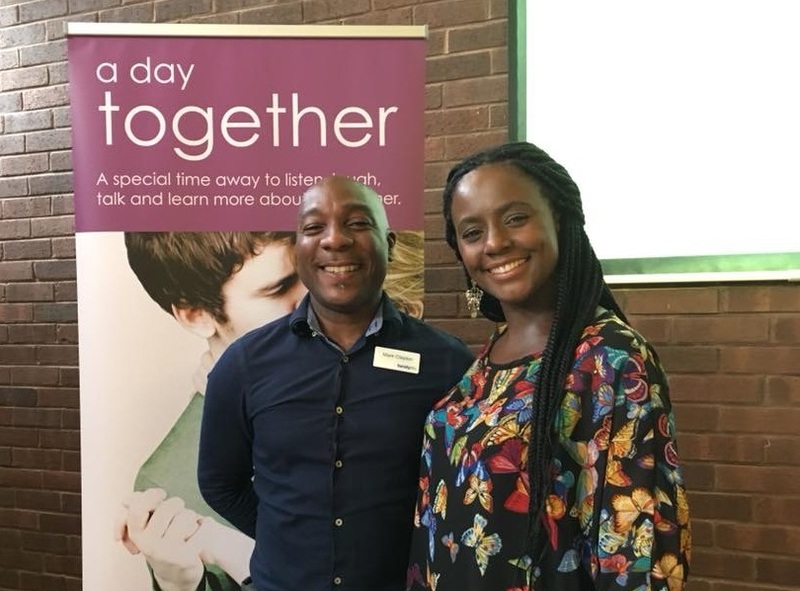 They first became involved in marriage work in the late 1980’s and have really enjoyed presenting both marriage preparation and marriage enrichment courses. Mark and Jan live in the Staffordshire where Mark runs a small business restoring instruments for classic cars and Jan works for an Adult Education Charity. In their spare time Jan likes to swim and read books and Mark likes to tinker in his garage. Learn more about what to expect at A Day Together. Some helpful information on what it takes to organise an event in your community. Helpful resources to download free for organisers of events & registered members. Click here to stay up to date on our news and events.